Time to lace up again! Please register online by clicking the link or going to the Stride and Glide website and finding our event under the 'events' tab. 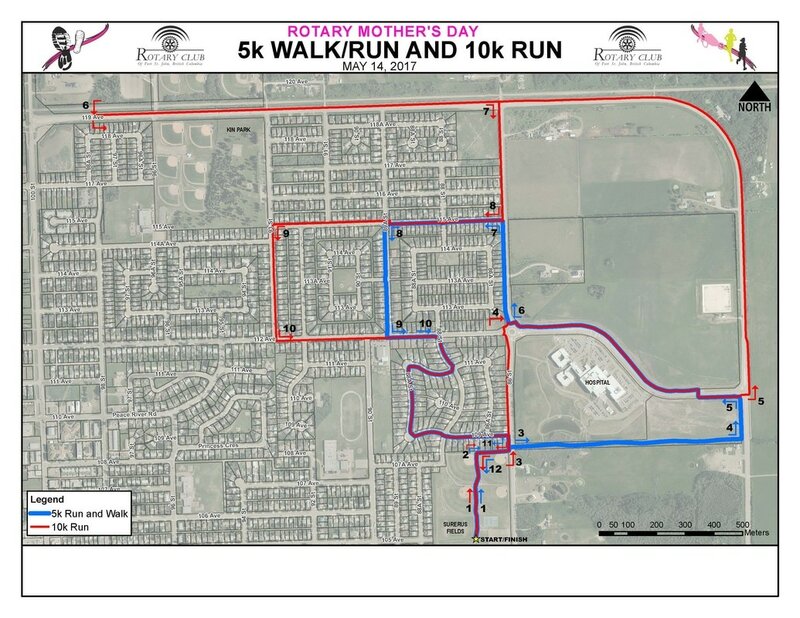 The Rotary and all the other members of the race committee are incredibly excited to be hosting this community event. We will have information posted on both our website and our facebook page so check both for the most up-to-date information. You can contact us with any questions both on facebook and through fsjmdrr@yahoo.ca. Hope to see you out there! ​Kids' events are free as always!